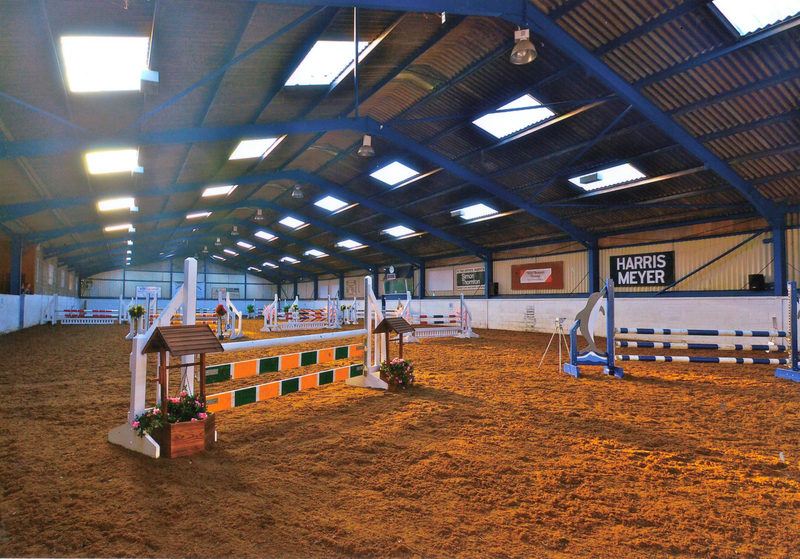 Harrogate Riding Centre provides a perfect setting for a range of riding events and activities. 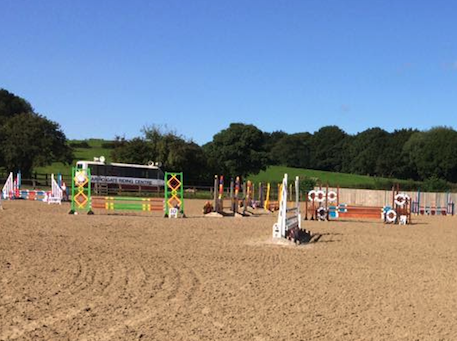 We have a range of top quality indoor and outdoor arenas that we hire out throughout the year. 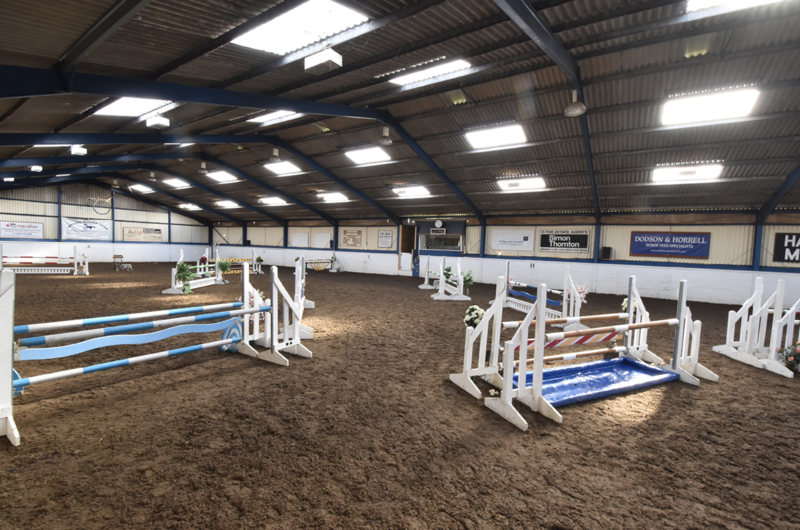 With over 4 acres of hardstanding car parking and 100 acres of grassland, our centre can be used for variety of purposes from horse and dog events to corporate conference facilities. Please see which arena is most suitable for your use in the table below, then simply book an available slot using the booking system. 65m x 25m with Martin Collins Ecotrak surface. Viewing gallery and café viewing area. 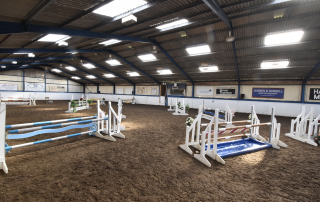 Judges box with wifi and professional music/speaker system to the collecting ring, car parks, and café. Direct connection to the indoor warm-up arena. 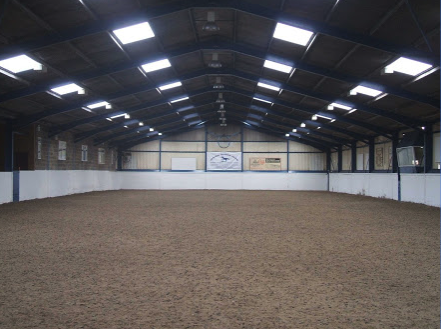 Professional lighting and emergency lighting in the arena’s, car park and surrounding area’s. 45m x 20m with silica sand and Martin Collins Clopf fibre surface. Additional attachment to outdoor arena 45m x 18m. Professional music/speaker system to the collecting ring, car parks and café. 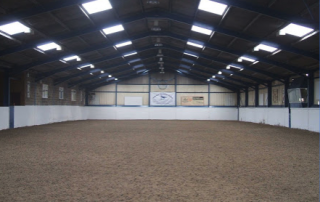 Professional lighting and emergency lighting in the arena, car park and surrounding area’s. 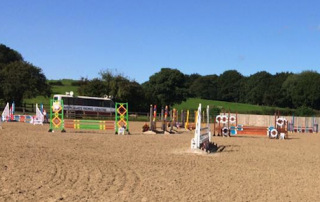 The overall size of the outdoor arena is 120m x 45m with 10m x 20m holding area it has a silica sand and Martin Collins clopf fibre surface. The standard layout below or can be customised to suit your needs with portable barriers & fencing. The International Outdoor Arena is 100/80m x 45m outdoor competition arena. Please be aware of the sunset time when booking the International Outdoor Arena as it DOES NOT have floodlights. 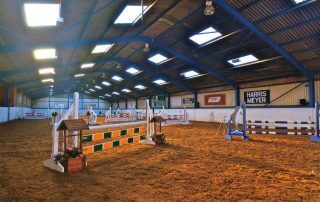 The Championship Arena is 60m x 35m. Please be aware of the sunset time when booking the Championship Outdoor Arena as it DOES NOT have floodlights. Can my club rent the whole venue? 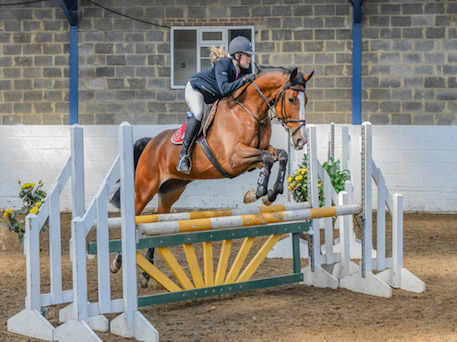 Yes, we can accommodate Pony Club / Riding Club camps and showing championships, as we offer onsite bed and breakfast accommodation, grooms rooms, stabling, hook-ups and full catering facilities. 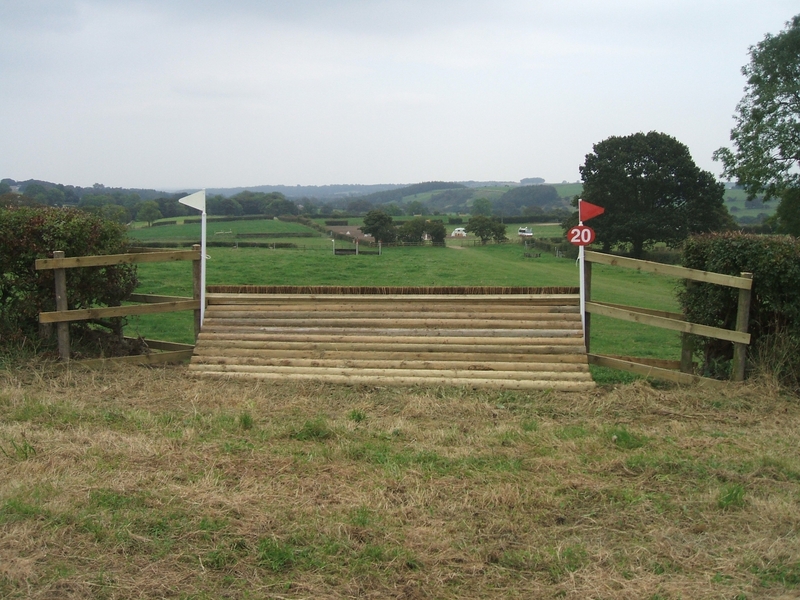 Can we alter the jumps on the course hire sessions? Heights can be altered but the course layout and distances should be left as found, ready for the next user. Can you help with the planning of our event? Yes, we offer advice and a turnkey solution for your event. Please contact for more information. Can we hire the Cross Country course? 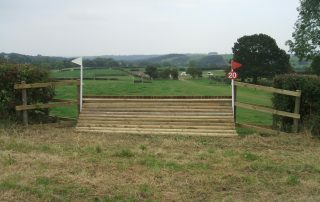 The Cross Country course can be hired, conditions permitting on certain open days . See our events calendar for these dates. 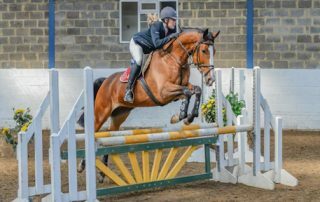 Are the outdoor arenas floodlit? No, so please be aware of the sunset times when booking either of the outdoor arenas.